Prompted by the acceptance of the first edition, this endeavour of the author (the 2nd edition) incorporates thoroughly revised and updated text, organized into twelve sections arranged in three parts. • Text completed and updated with recent advances to cater the needs of postgraduates in Physiology. 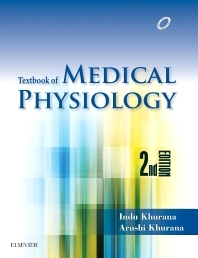 • Quick introduction to functional anatomy followed by systematic presentation of the text is unique feature of this book. • Inclusion of additional molecular and applied aspects makes the special features of this edition. • Applied physiology, highlighted in the boxes, has been expanded and updated with recent concepts on pathophysiology and advances in basic and advanced investigations and therapeutic principles. • Text and figures in an attractive four colored format. • Illustrated with more than eleven hundred colored diagrams with many new additions. • Complemented with numerous tables and flowcharts for quick comprehension.